It is hoped that we only marry once, so it makes sense that we really push the bridal boat out and get the wedding we deserve. But weddings don’t come cheap. With the average cost of tying the knot in the UK coming in at around £21,000, (not including rings or honeymoon) – it is high time we put some thought into cutting the costs of this expensive, once in a lifetime celebration. If you are planning a wedding, you probably don’t want to hear this, but you may thank me for it in years to come. Once the wedding is over, you will have some truly beautiful memories to look back on. But I can guarantee a lot of the things you remember stressing about in the build up to the wedding, will seem like inconsequential fripperies. Remember worrying about getting the best bouquets? How about the sleepless nights over the expensive, gold embossed invitations? Or the arguments over whether it was worth paying the extra for chair covers at the reception? What about the table decorations – remember how much stress they caused? I rest my case. All the details that seemed so important at the time, will have been totally forgotten in the hazy, happy afterglow that follows getting hitched. Post marriage you have new worries to deal with. Like how are you going to afford to save up for a deposit on a house? Well, if you get real now and spend less on your wedding, gathering together a deposit might come around a whole lot sooner. To soften the blow of this harsh, unromantic lecture, here are some handy hints for slimming down your wedding budget without sacrificing on style. With a little ingenuity, application and know-how, you can have a beautiful wedding, worthy of the glossiest bridal magazine going. Half of the battle is knowing where to look for the tools and materials you’ll need to do a lot of the wedding prep yourself. Finding a reliable source of craft materials such as the wide range at handyhippo.co.uk is a good step in the direction of a more thrifty wedding. At handyhippo.co.uk you will find beautiful wedding stationary supplies in a variety of sizes and styles. Blank invitations with inserts and envelopes are sold ready for your personal message and decoration. Creating a unique wedding invitation that reflects your style and personality is so much nicer (and cheaper) than a professionally printed and prepared run of stationery. Check out the prices of blank invitation sets and be pleasantly surprised at the cost savings you’ll make. Another area of wedding organisation where you can make big cost savings is the flowers. Treat Youtube like your new best friend when prepping for nuptials. On the internet you will discover thousands of helpful instructional videos on many wedding topics including floristry, putting together bridal bouquets and buttonholes at a fraction of the price the professionals demand. A simple bouquet secured with pretty ribbon and a few stitched on pearls can look stunning, but needn’t cost the earth. Buy in a whole heap of craft supplies from handyhippo.co.uk before the big day and turn the wedding flowers into a decorative and divine display on a shoestring. Wedding venues make their money on all the extras they load on top of the original package. If you can avoid these over-priced temptations and provide for yourself items such as table decorations, place name cards, seat covers etc. – you will have funds left over to spend elsewhere. The simplest wedding table decorations are pulled together by a single colour. Once you have chosen the signature colour, choose flowers, place cards, napkin holders etc in the same shade. Hand printed place names on dining tables look fabulous and are easy to make yourself from high quality card. Eschew seat covers and instead adorn each chair with a pretty, colour co-ordinated sash, bow or ribbon. Handmade napkin holders, decorated with ribbon, crystal or silk flowers can look gorgeously sophisticated and are cheap and fun to make. The practice of giving wedding favours to guests has become widespread, but if you are having a lot of people to your bash, the costs can build up. The trick is to choose a favour that has a personal touch but isn’t too costly. Hand crafted items such as a small decorated box, glass painted candle holder or hand stitched linen bag of home baked biscuits all work well as favours. Remember that the simplest of gifts can be customised and prettified with a sprinkle of glitter, a velvet ribbon or some hand painted decoration. If you have always wanted to get into crafts, but never had a reason, use your wedding as the perfect excuse. 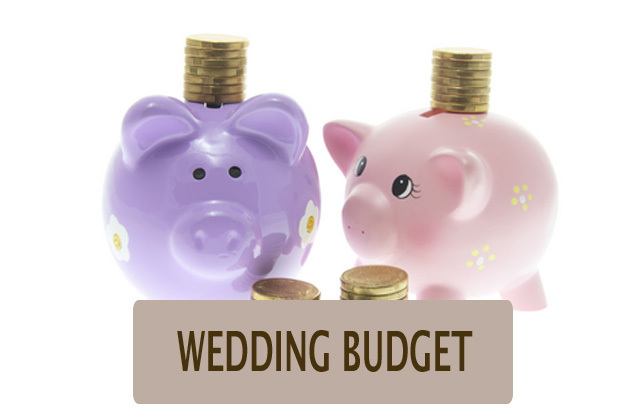 Make big savings on many traditional wedding staples, have fun and create a unique and personalised theme that looks stunning.